Make style, precision, and performance the hallmark of every drive with Golling Alfa Romeo. 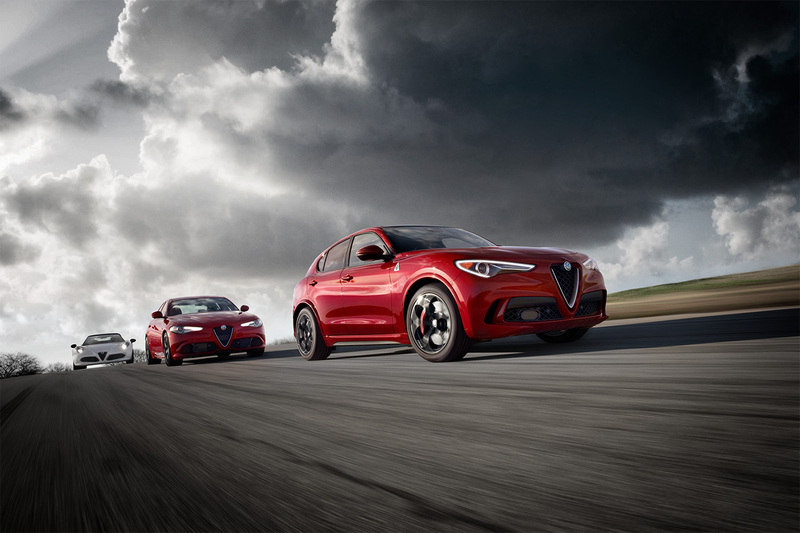 Our Alfa Romeo lease center in Birmingham, Michigan will pair you with a vehicle that redefines the art of driving. We recommend a car lease to drivers who don't want the commitment of vehicle ownership and love to sit behind the wheel of the newest models. Leases typically require lower monthly payments than traditional auto loans, making it easier to upgrade to higher trim levels. Give us a call to learn more about the benefits of car leases in Birmingham, MI. Alfa Romeo models deliver superior style and a powerful driving experience, and you can experience every option at Golling Alfa Romeo. Reimagine a family vehicle with the Alfa Romeo Stelvio, an SUV that brings luxury into every drive. Hug every curve in the road in the Alfa Romeo 4C Coupe, a sports car that is as capable as it is elegant. Or, feel the everyday style of the Alfa Romeo Giulia, a sedan that makes every drive exhilarating. Experience all your options at our Alfa Romeo lease center in Birmingham, MI. Golling Alfa Romeo will pair you with an auto lease you love. And our Alfa Romeo financing team will bring you to the finish line. Drop by our Alfa Romeo finance center in Birmingham, MI to explore car loans, auto payments, and other auto finance options. Whether you want to trade in your car or talk about your lease options, we are here for you. Give us a call today!